SJC has just woven 100mts of 16oz Silver Grey English 100% wool flannel and 50mts of 16oz cream flannel. 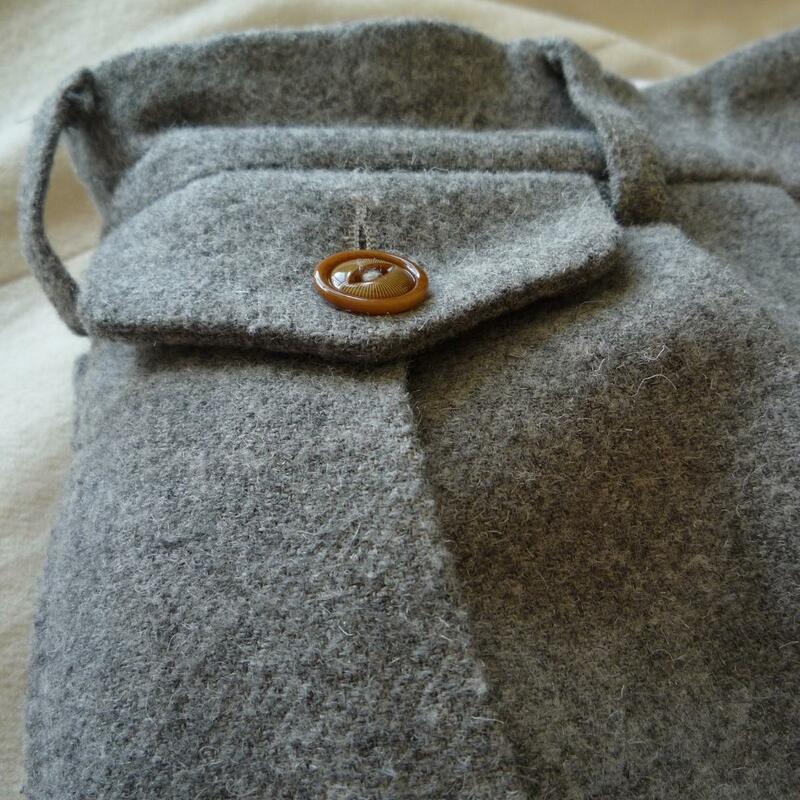 This fluffy light grey cloth is thick but very soft and marled, and it billows like the sails of a yacht in the breeze when one moves. 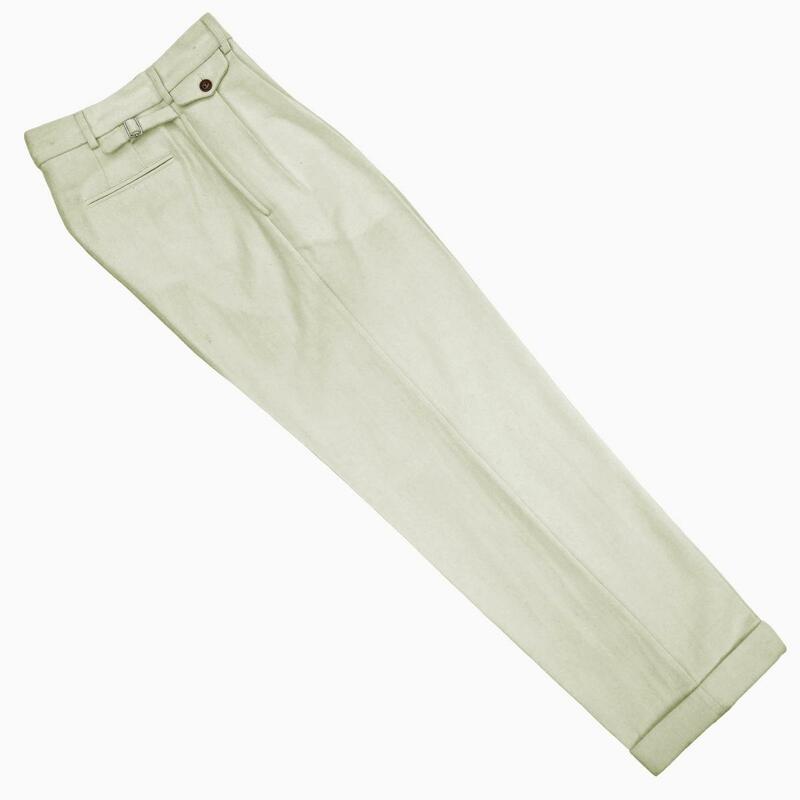 Crafted into a 1930's loose cut trouser that features deep pleats, a wide leg and a high rise fit. 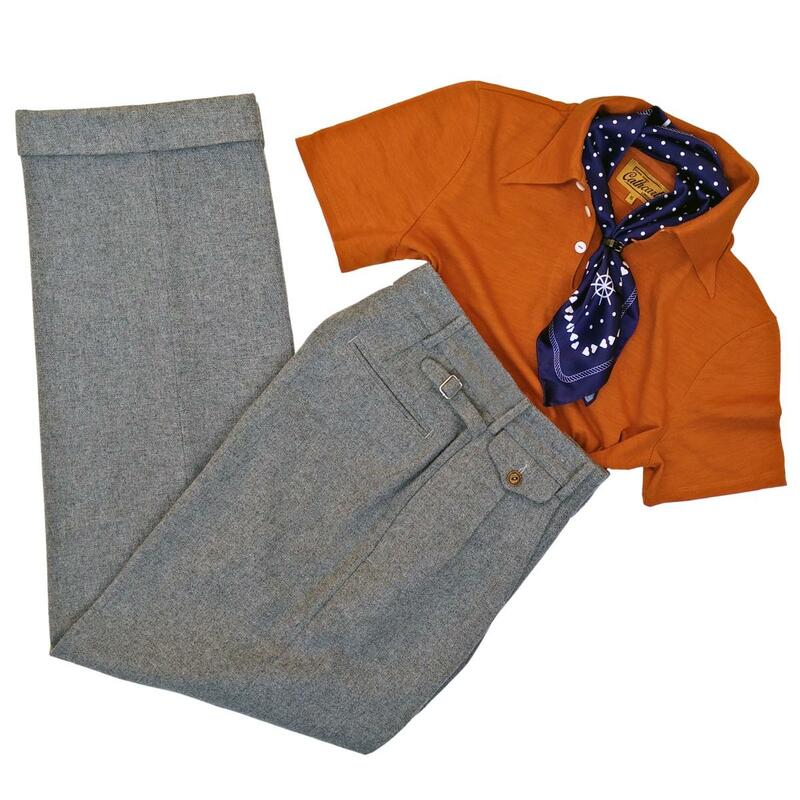 The pants feature a button down coin pocket flap, side adjustors, sturdy pocket bags, sunburst corozo buttons, suspender buttons, deep fly front and belt loops. They come in a long untailored length so you can add your own 2" cuffs on them to suit. Judging by the outstanding quality of the cloth, the high desirability of the cut, the incredible price these pants will go fast. 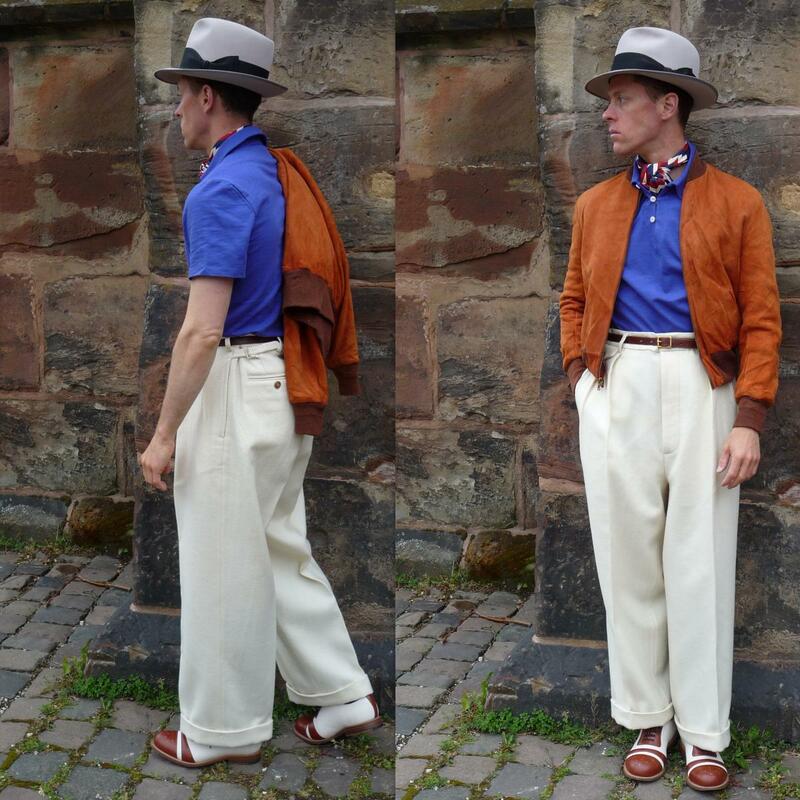 If you have signed up to the Newsletter you will recieve a whopping 10% discount AND this includes discounts on the summer polo and the zigzag neckerchief and also the 1920s chinos Sign up if you haven't to receive the code and you will see the discount code in the Thank you box. Delivery will be in June. If the unfinished length of the trousers is 36 inches this means they are way too short to add decent cuffs. For two inch cuffs you need 5 inches of extra length, meaning that a 36 inch inseam gives you just 31 inches with cuffs. Agreed. Anyone over a 31 inch inside leg will struggle to put two-inch turn-ups on their trousers. 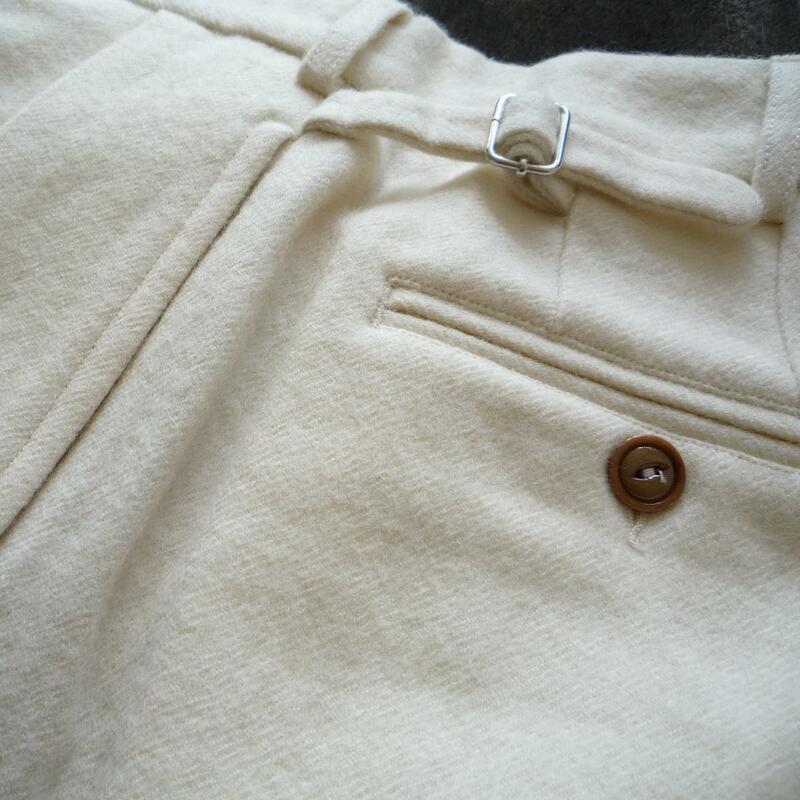 And, it has to be remembered, the turn-ups help to give the weight and shape to the trousers allowing it to drape properly. P.S. The size chart should really have the knee measurement on it. That gives us a better idea of the shape. I'm not a fan of using pictures of a sample that still needs a few tweaks. Meaning that people are going to get confused if you add more belt loops, change the watch pocket placement, etc. This could lead to returns if people expect to receive what they're seeing and receive something else instead. I don't see it mentioned anywhere in the description and people might not like the minor details that are wrong in the waist now. For the CM size you should use the EU sizing. It's less confusing than having 81, 86, 91 and so on. If people read size 42, 44 or 46 and they check measurements it will make more sense, at least that's how I see it. Agreed re using samples that are still not the final version. I, for one, would be put off by the misplaced fob pocket. Agreed. Don't rush it. You should have a final version, just so people know exactly what they are getting. Also, have the measurements for the graded patterns been carefully checked? I will compare the larger sizes to trousers of mine. The example we have seen is very good, but it needs to be perfect. 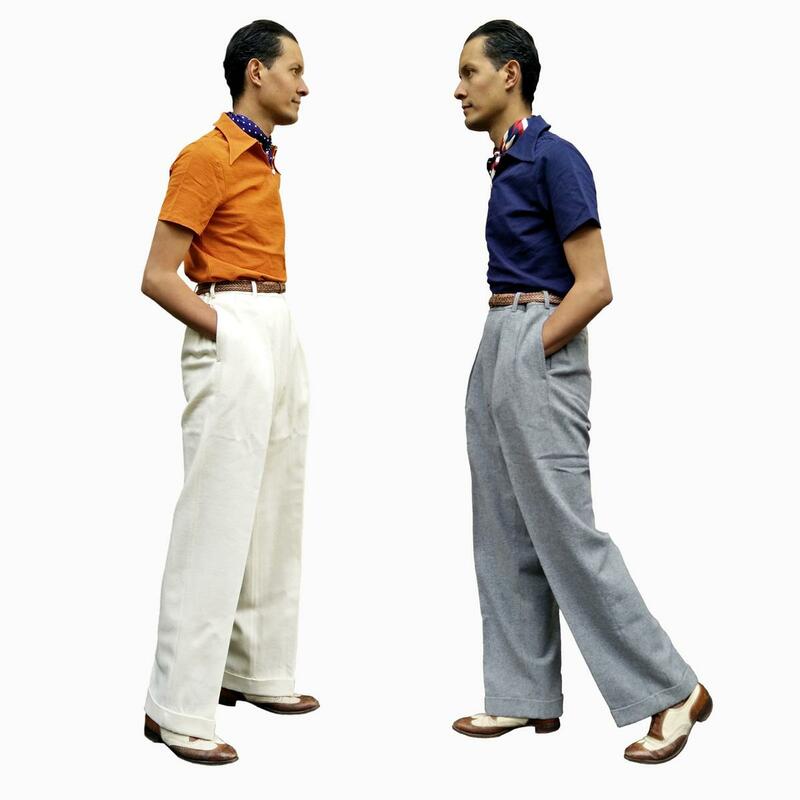 At this stage, we have only seen one example of the trousers (in a small size). I would seriously recommend a further sample, in a larger size, in order than we can assess how the pattern translates to the larger sizes - especially since the larger size market could be a very good market for you due to the shortage of larger size vintage originals. Regarding the adjustment straps, how much will they take the wasit in by? (04-26-2017, 10:59 AM)willyto Wrote: I'm not a fan of using pictures of a sample that still needs a few tweaks. Meaning that people are going to get confused if you add more belt loops, change the watch pocket placement, etc. This could lead to returns if people expect to receive what they're seeing and receive something else instead. Agreed. The general shape looks great which was my main concern. Congratulations. But stuff like belt loops and watch pocket are important too. At least mention it? "What you see is what you get." should always be our aim though. We talked about this in the beginning when some Jeans producers showed a generic jeans and the took preorders for "this jeans in rarejapanesesuperheavyslubbydubby denim" and people just gambled because it was so cheap. I don't think we want to be like that. I'll do them longer at 36 and 38 on the leg. 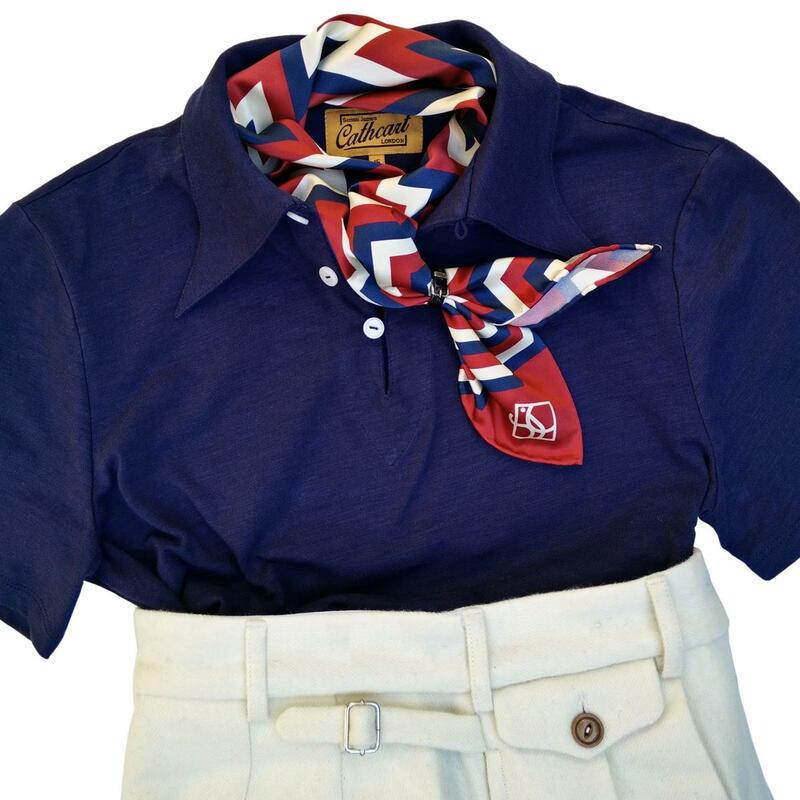 "If you have signed up to the Newsletter you will recieve a whopping 10% discount AND this includes discounts on the Summer Polo and the Zigzag Neckerchief and also the!" From the store page of the cream ones, I think the "and also the" should be removed? On the page for the grey ones there is no "and also the", but the exclamation mark is missing. Any news on the 1918 cut, by the way? Knee measurement is about 12.5". The knee should be right in between the thigh and hem measurements, and that's what it is on the sample, too. What's the belt you're wearing there, Nik - one of your own, or the SJC prototype? Looks good. (05-02-2017, 02:41 AM)Edward Wrote: What's the belt you're wearing there, Nik - one of your own, or the SJC prototype? Looks good. That one is the SJC prototype, only the final product will be 1" width instead of the 3/4" width seen here. Bridle leather, brass buckle. The 1" belt will be shot with the flannels, for the shop.